Come See What’s New at the Austin Home and Garden Show! 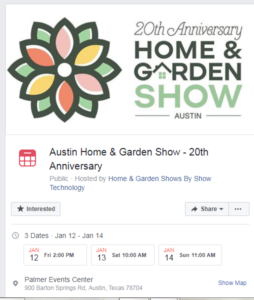 Friends and neighbors look forward to the Austin Home and Garden Show — and Southern Shutters Shades and Blinds will be there on January 12, 13, and 14! 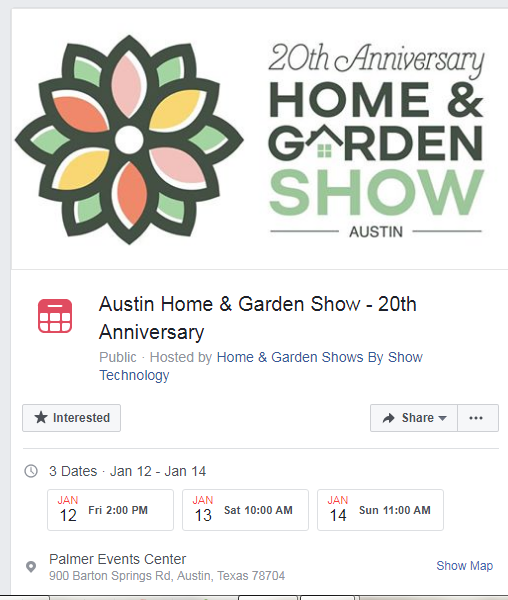 It’s the 20th anniversary of this event, and we are so excited to show off motorized shades for Austin homes (interior and exterior) as well as new technology and design that produces tighter-fitting wood blinds. Alongside these new additions, we’ve still got the same beautiful custom plantation shutters made locally in Travis County! Please plan to come check out the very best in window shades in Austin at the 20th anniversary Austin Home and Garden Show! Comments Off on Come See What’s New at the Austin Home and Garden Show!